This edition was curated by WELL+GOOD and features the Z.N.E. 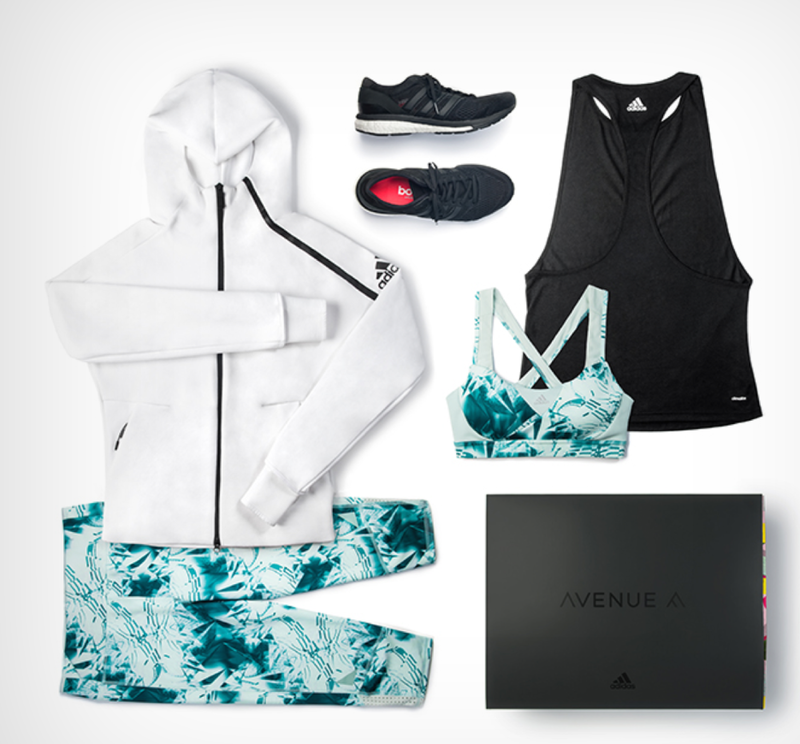 hoodie, Supernova 3Q leggings & bra, layer friendly black Performer Tank, and the adiZero Boston shoe, all for only $150. There 4 boxes per year, sent straight to your door, each featuring a mix of at least 3 premium items. This Fall 2016 bundle just crushes it- I'm so over the moon about each product! My favorite item is the ZNE hoodie. It's making huge waves on Instagram and I was so excited this item was included in this box! It's so perfect for fall - made of thick doubleknit fabric with plenty of stretch. It has an athletic fit and a high funnel neck, that is flattering on all body types. The Supernova set has an amazing pattern & the color is just (heart face emoji). The bra has thicker straps and has an amazing & supportive fit. Click here for more details and find out how to sign up for your new adidas Avenue A subscription box. Trust me, you're not gonna wanna miss the Winter 2016 Edition!